The new fashion style, long lasting and great looking leather ID holders are specially designed for fashion IDs or ID Badges. They will give you a fashion looks and can use for a long period of time. The leather ID holders are great for business, schools, military, government, sports teams or trade shows with factory direct wholesale cost. 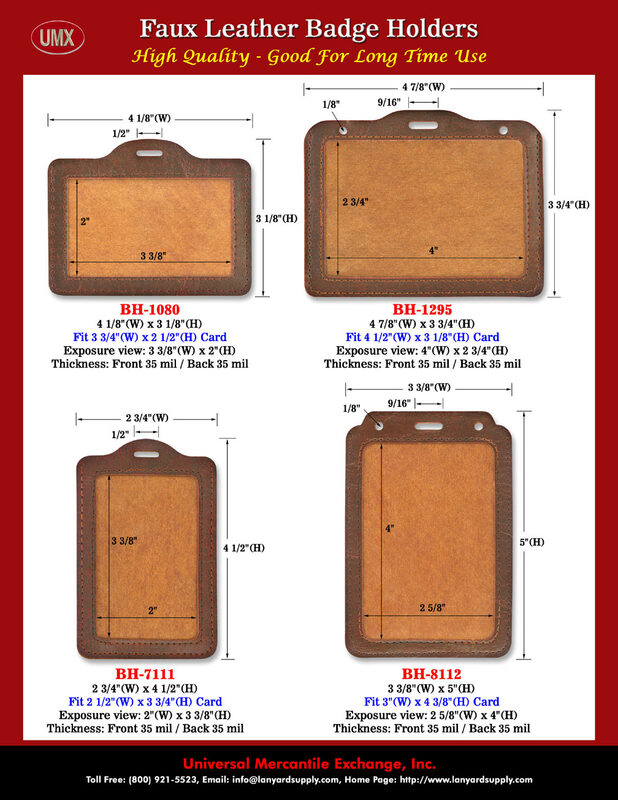 We stock a variety of size and style of leather ID badge holders for immediate ship. Please check our online store for more leather ID holder information. You are viewing Lanyards > Badge Holders > Leather ID Holder For Fashion ID or ID Badge.